Florida insurance companies are providing a record level of support for the Florida Insurance Industry Scholarship Program, which makes it possible for low-income families across the state to send their children to schools best suited to meet their needs. To date in 2017, Florida insurance companies have committed $61.2 million to fund 9,380 scholarships – the highest level of support ever. 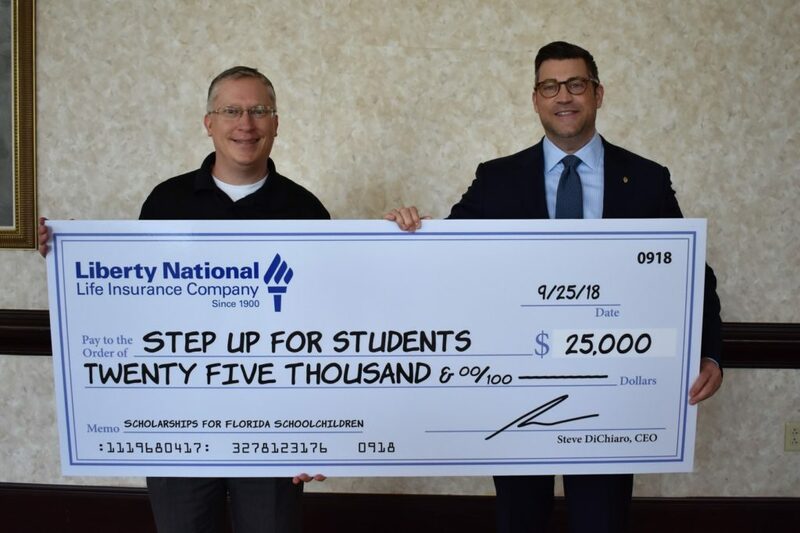 Step Up For Students, the nonprofit organization powering the Florida Insurance Industry Scholarship Program, which helps manage the needs-based Florida Tax Credit Scholarship Program, praised insurance companies’ significant support for the program. Step Up For Students provides genuine opportunity for struggling students across Florida, and recently enrolled the program’s 100,000th student and expects to serve 102,000 students this year. Since 2009, Tower Hill and UnitedHealthcare have contributed more than $86 million to the Florida Tax Credit Scholarship Program, funding more than 19,000 scholarships, and this year alone their contributions totaled a combined $12.3 million. Peter Corrigan, president of Florida Family Insurance Company and chairman of the Florida Insurance Industry Scholarship Program, which launched in February to coordinate and promote the insurance industry participation in the Florida Tax Credit Scholarship Program, said Florida’s insurance industry is on track to double its contributions to the program this year. Representatives from Tower Hill Insurance Group and UnitedHealthcare participated in a media conference call to explain their support for the program.